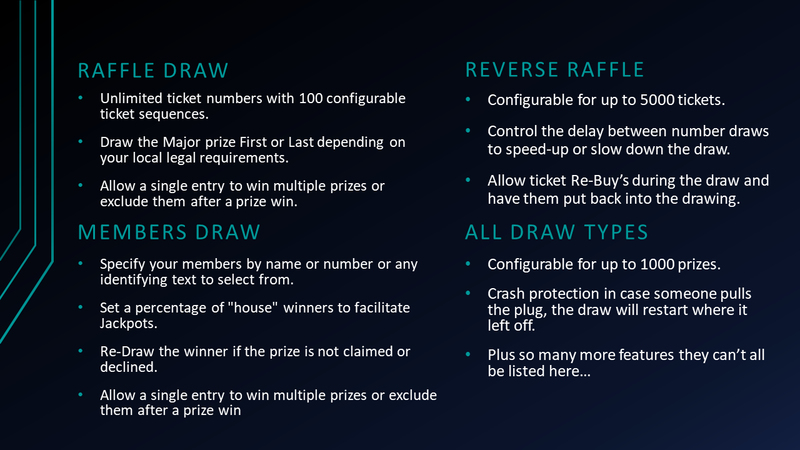 The Home of Club Raffle. 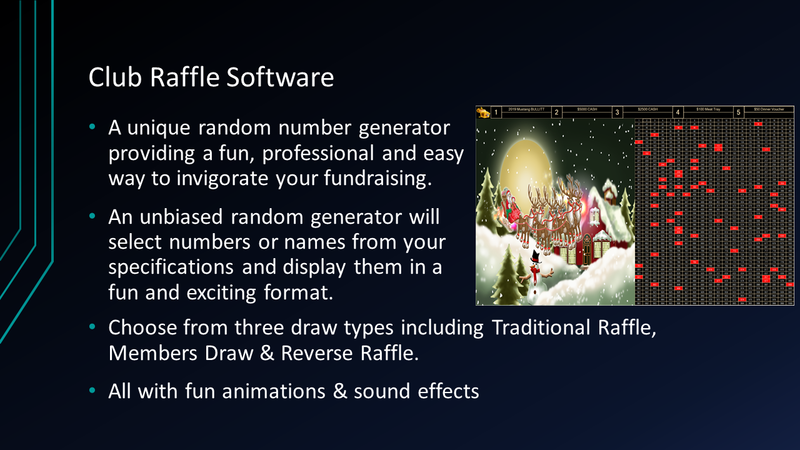 Club Raffle is random selection software for running Raffles, Member Draws and Reverse Raffles in a fun and professional way. 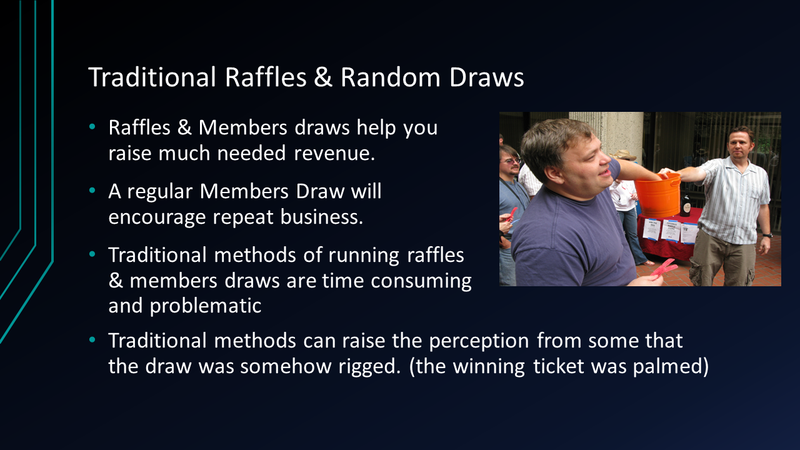 It's perfect for anyone who needs to run a random draw in front of an audience. 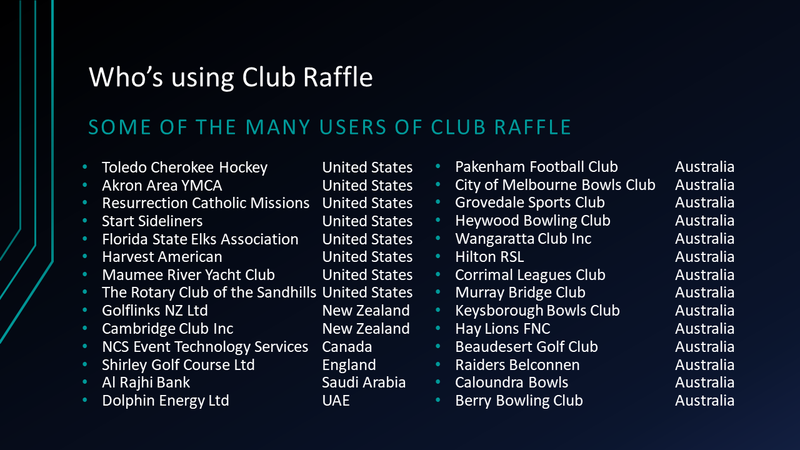 This includes clubs, churches, sporting clubs, pubs, bars, country clubs, community groups and charity organisations. 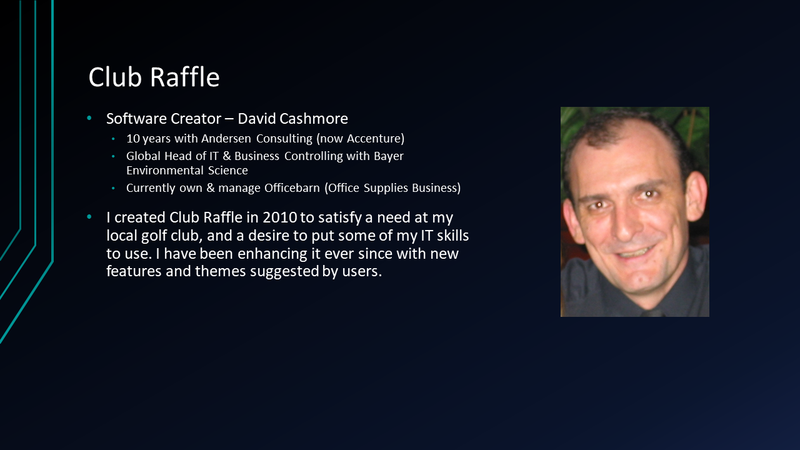 Contained on the pages of my website you will find loads of information on the Club Raffle software. 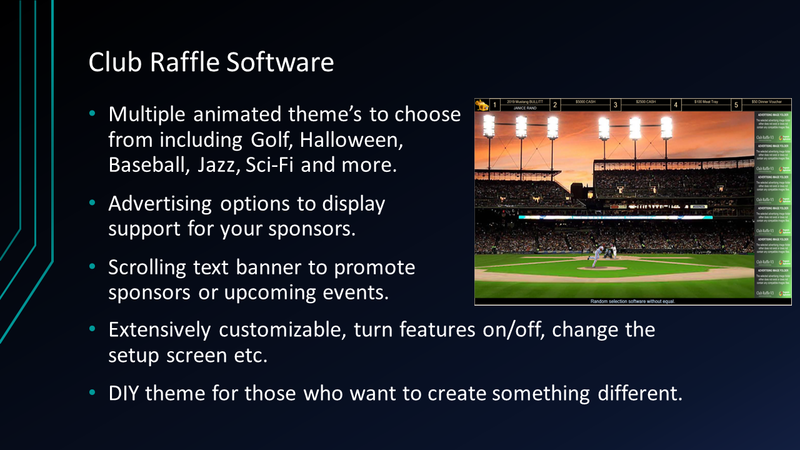 The themes page contains links to YouTube videos that will show you sample draws of all the animations currently available and please take some time to review the help documents. 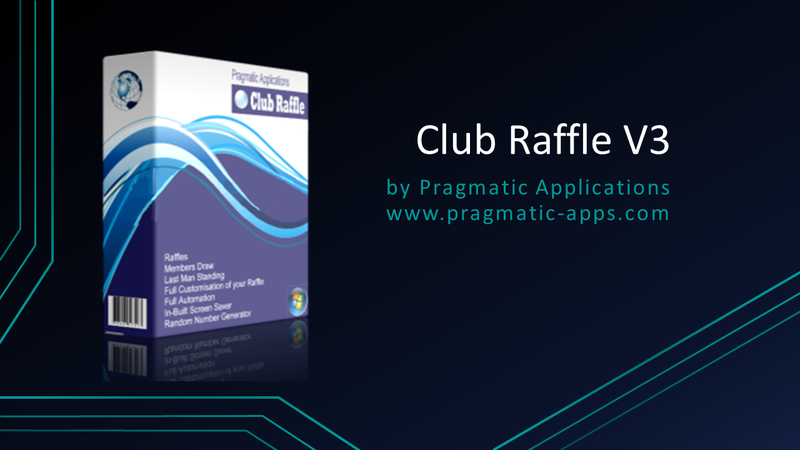 Club Raffle is simple to use but packed with extensive features, you can be running a random draw in a few minutes however it may take a little more time to master all of the extensive features available. 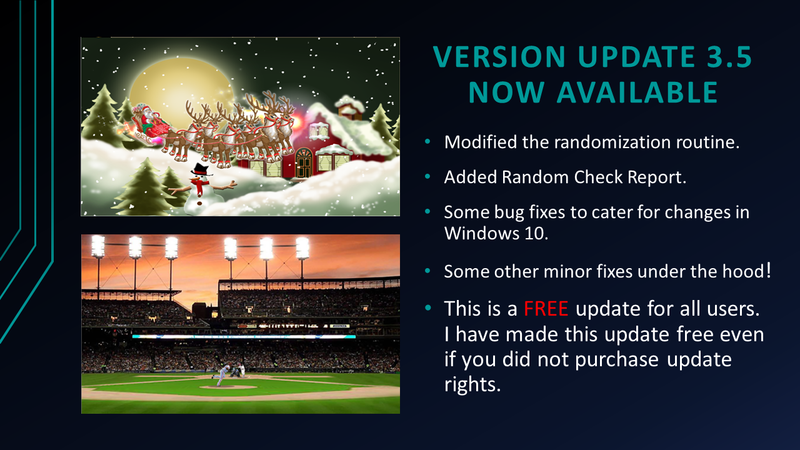 Thank you for the visit, please stay, look around and most of all download the Club Raffle software and change your random draws forever.